If you like to cook at home, freezers are the best thing since sliced bread. Soups can be particularly easy and reliable dishes. 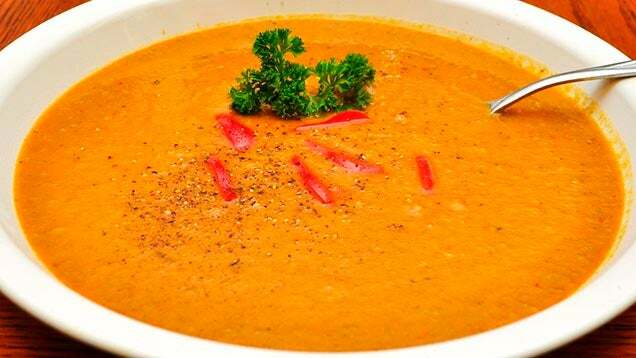 However, even though it's relatively safe to freeze most soups, freezing can also ruin some ingredients or combinations. Soups with a lot of cream or dairy or potatoes will change in texture and possibly separate when thawed. Seafood soups can also develop some off flavours when frozen, and soups thickened with cornstarch or eggs might reheat thin and watery. Avoid freezing these types of soups. Any toppings like tortilla chips, fresh herbs, cheese or pestos should also be kept out of the soups and just added in when reheated and served. Naturally, the full article also suggests some recipes for different types of soups that are great for freezing.